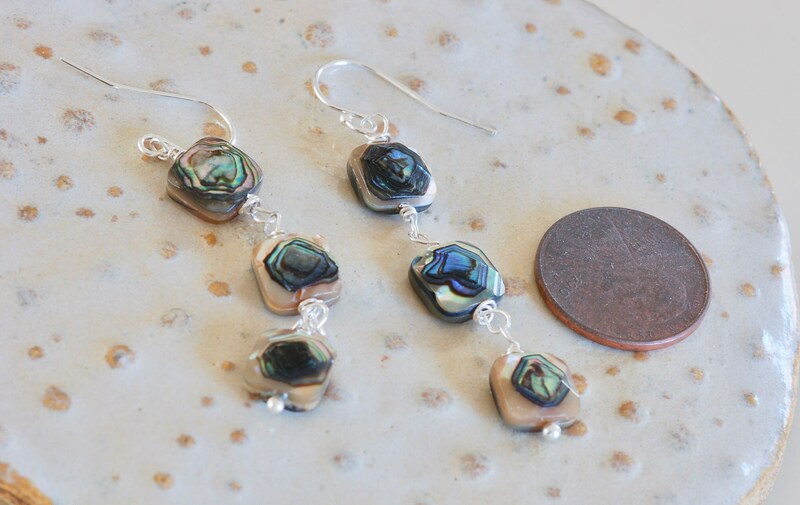 3 beautiful faceted squares of abalone are wire wrapped to create a beautiful, eye-catching dangle earring. 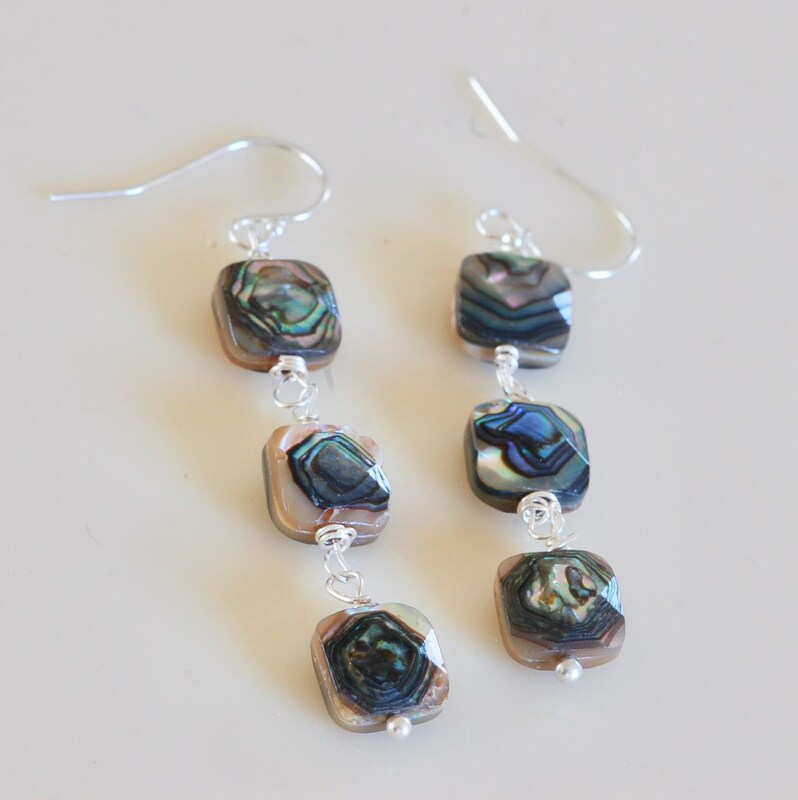 Abalone squares are faceted on the front and back. Can be worn with most outfits. 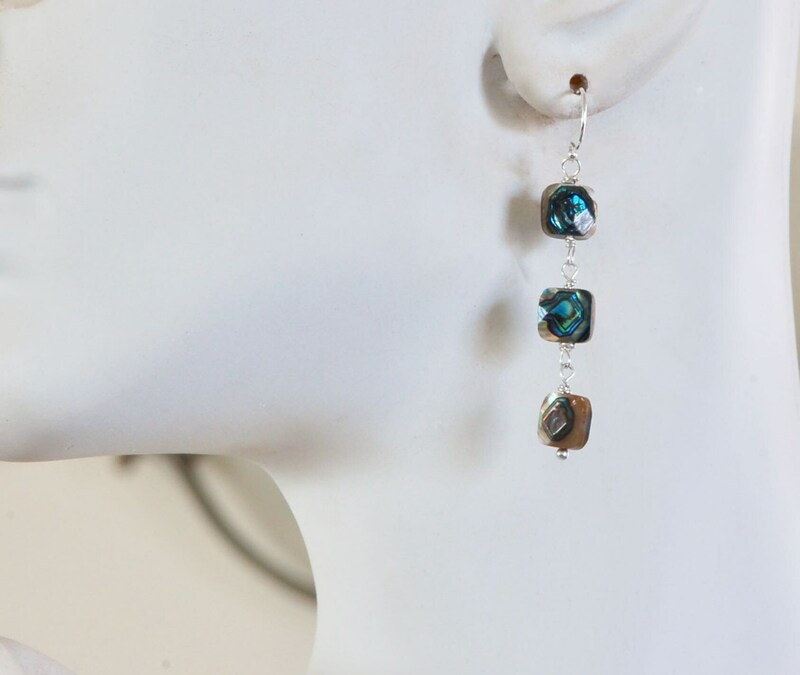 Sterling silver wire drops approx 2 1/4 inch long.